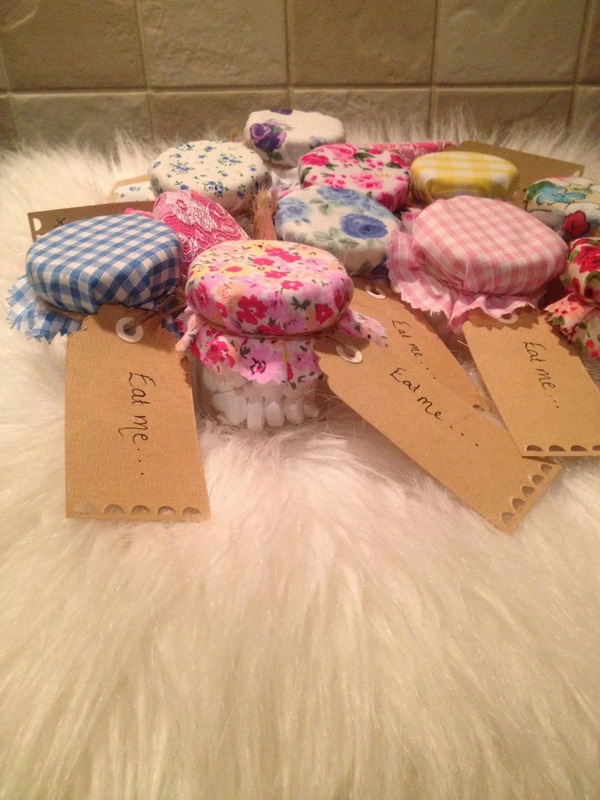 Getting Crafty - Shabby Chic Makeup Brush Holders, Party Favours .... hand crafted with love. I've always loved a bit of craftiness and recently I started up again. 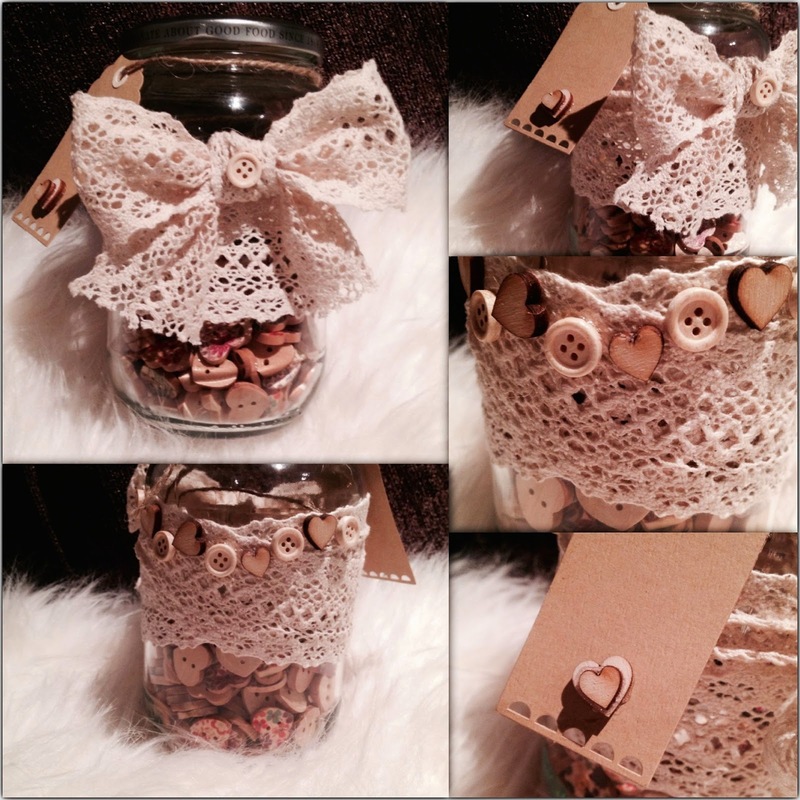 I made the beautiful shabby chic Jar filled with hearts as a Hen Present for my friend. I got the hens to write notes on larger hearts which went into the Jar before I presented it to her the following morning. 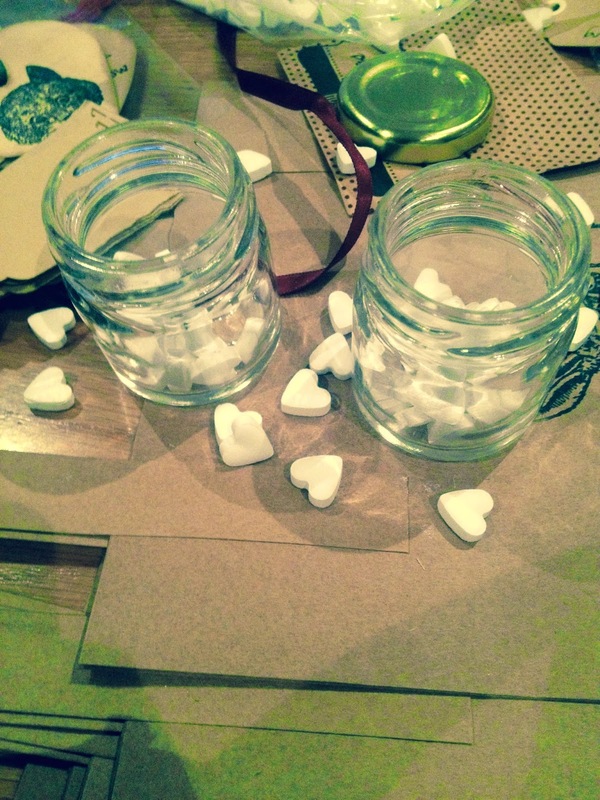 Her very own 'Jar of Hearts'. I thought this up because it seemed that bit more personal. I really enjoyed making this and then it came to me, that these would be really good makeup brush containers and I'm considering making them and perhaps selling them on Etsy. I would also make to order so if you would like one, you can leave a comment below. 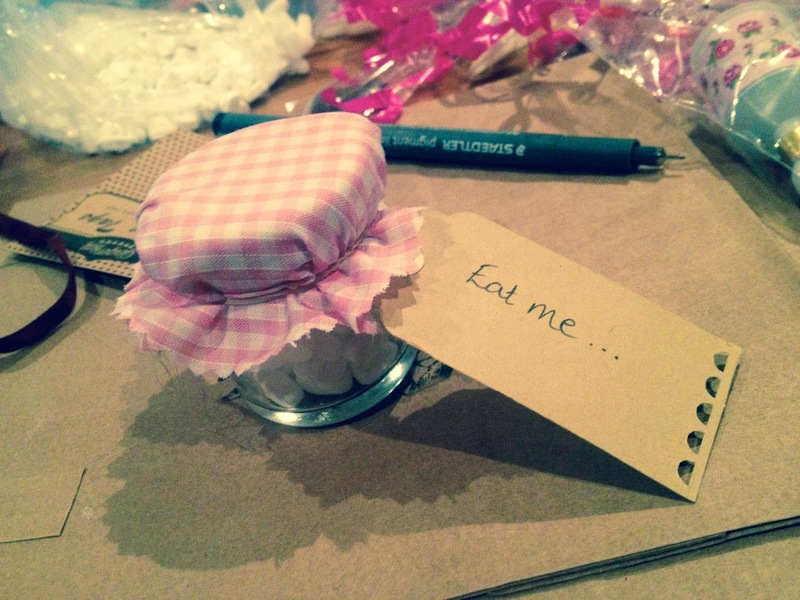 I also made these little party favours for her hen night, super easy to do and I felt really quite content witting crafting a way one evening. 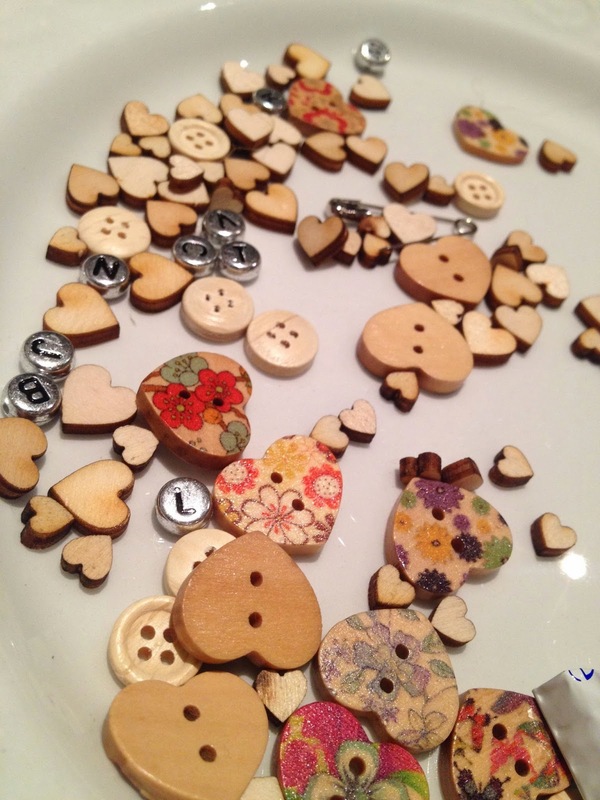 What do you think - I used these particular ones for her Intoxicating Tea Party, each hen got their personalised favour and they went down extremely well. Currently working on my next project. Well may as well fill my evenings some way when they Hubby is offshore. The pink lace is so pretty!